Come see the new Toyota 86 near Somersworth, New Hampshire. This affordable sports car is the latest addition to the new Toyota lineup and was originally introduced as the Scion FR-S. 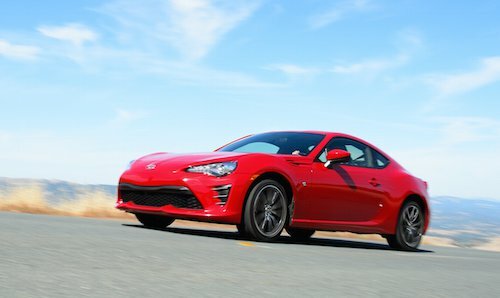 The new Toyota 86 sports coupe offers higher performance, revised styling and improved driving dynamics. Designed to please all driving enthusiasts, the new Toyota 86 is available with either manual or automatic transmissions. Our Toyota auto finance center will make buying, leasing or financing a Toyota 86 easy and affordable. Toyota special offers may apply so be sure to ask us about current incentives and specials for Toyota 86 models. See our entire selection of new Toyota cars online, compare prices, estimated MPG, vehicle photos, trim levels and color options for the new Toyota 86 near Somersworth, NH.